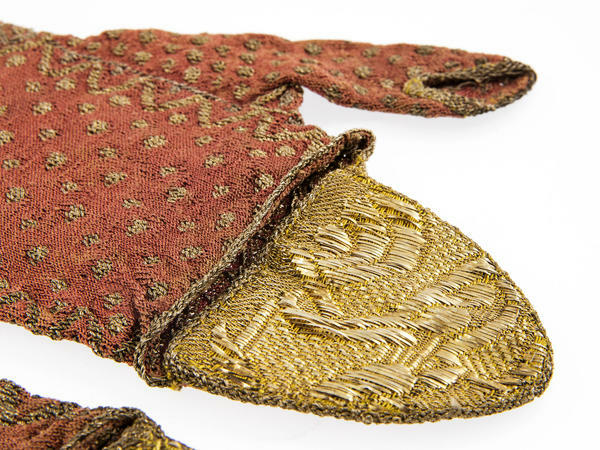 Welcome to our new series showcasing the world-class Glove Collection of the Worshipful Company of the Glovers of London, cared for and housed here in Bath at the Fashion Museum. Our new display Glove Stories opens in the museum galleries on 2 March and to celebrate we will be highlighting one fabulous glove from this wonderful collection every week. Recent events have inspired our first selection as it has been a very special week for us lovers of gloves at the Fashion Museum. We are delighted to announce that Rosemary Harden, Manager of the Fashion Museum, has been made an Honorary Glover by the Worshipful Company of Glovers of London. Rosemary received the honour during a ceremony at Clothworkers’ Hall in London on 7 February. 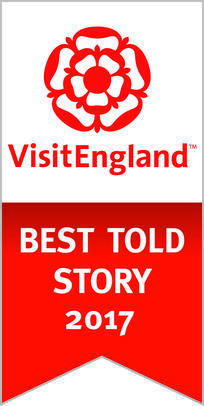 At the same time, the Fashion Museum was presented with a Golden Glove Award, which was accepted by Councillor Paul Myers on behalf of Bath & North East Somerset Council, which runs the Museum. The status of Honorary Glover is given from time to time to an individual who has made an exceptional contribution to the Worshipful Company of Glovers’ aims and aspirations, while the Golden Glove Awards are handed out each year to companies that have shown innovation in the field of gloving. So which glove has Rosemary picked this week to start the series? A golden glove, of course! A signifier of opulence and optimism throughout history as well as sparkle, glitz and glamour, gold features throughout this world-class collection of gloves. Spanning over 400 years, the collection ranges from beautiful historic embroidered gauntlets to gloves adorned with gold braid and bobbles by the top fashion designers of today. 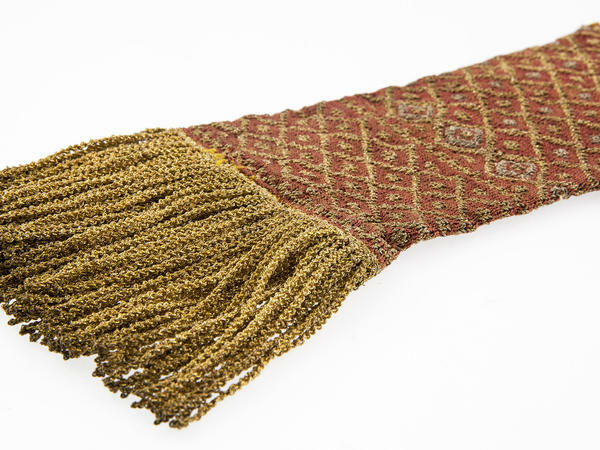 Indeed it was difficult to choose just one spectacular golden glove from the Glove Collection as there are so many exquisite examples, but this pair of salmon-pink knitted silk and gold metal thread mittens, are simply stunning. 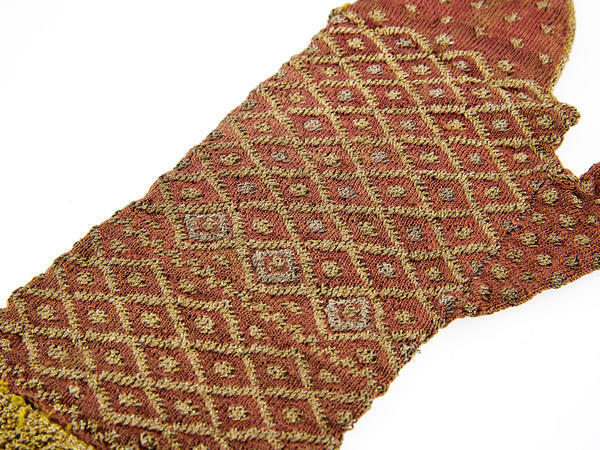 Dating from the 17th century, the tiny knitted stitches showcase a decorative diamond and dot design with a finger flap in a woven gold-coloured fabric and a twisted gold metal thread fringe at the wrist opening. 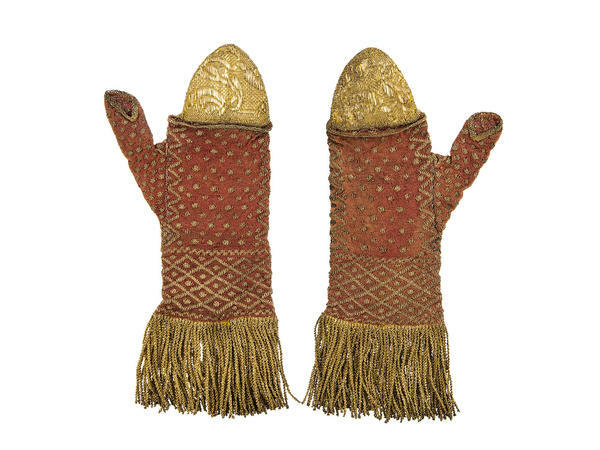 Although no one is exactly sure, our thoughts are that these gloves are Italian, and may have had an ecclesiastical or liturgical provenance. Join us this year as we celebrate the richness of the Glove Collection of the Worshipful Company of Glovers of London at the Fashion Museum. Discover the breadth and depth of this unique and wonderful collection of gloves and feel inspired by the stories we have uncovered and will share here each week. 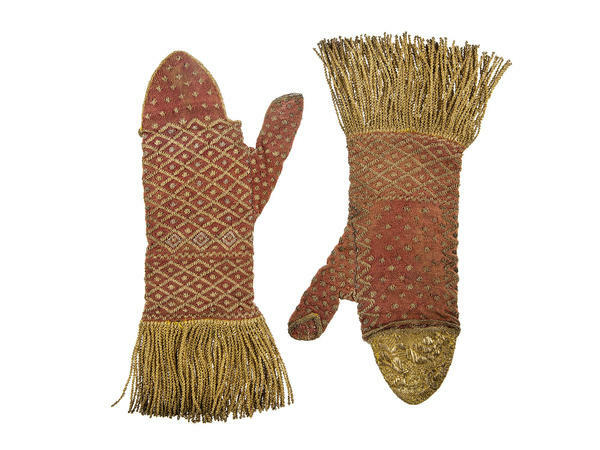 Glove Stories is on display from 2 March 2019 to 1 March 2020. Glove images courtesy of the Worshipful Company of Glovers of London.